Every cut has the same tempo, same feel, same boring unoriginal approach. this is the worst. It's a perfect snapshot of everything annoying about millemials. Where's a giant Godzilla foot when you need one?! It's an album made up of that one song, "Albatraoz." Beautiful beats ruin by a woman of no talent, singing nonsense over them. 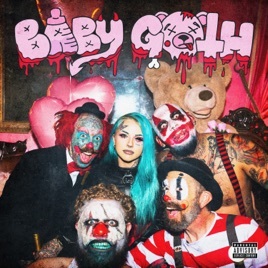 More importantly, how are you gonna call your self "Baby GOTH" and sing about suicide doors, drugs, and fat stacks?